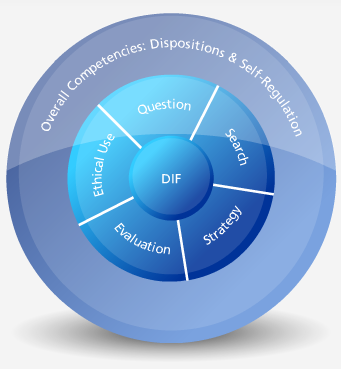 “Information literacy” has been the most common term used to describe how to educate students in technology, in digital technologies in particular. But more recently fluency may be replacing literacy as the best description of the goal achieved by education in technology. This entry was posted in Trends on September 21, 2010 by Alex Chapin. The mission of the Carnegie Mellon Center for Computational Thinking is “to advance computing research and advocate for the widespread use of computational thinking to improve people’s lives.” Jeanette Wing, the center’s director, has a vision for the 21st century whereby computational thinking is as fundamental to education as reading, writing and arithmetic. When your daughter goes to school in the morning, she puts in her backpack the things she needs for the day; that’s prefetching and caching. When your son loses his mittens, you suggest he retrace his steps; that’s back-tracking. At what point do you stop renting skis and buy yourself a pair? ; that’s online algorithms. Which line do you stand in at the supermarket? ; that’s performance modeling for multi-server systems. Why does your telephone still work during a power outage? ; that’s independence of failure and redundancy in design. This entry was posted in Trends on June 25, 2010 by Alex Chapin. 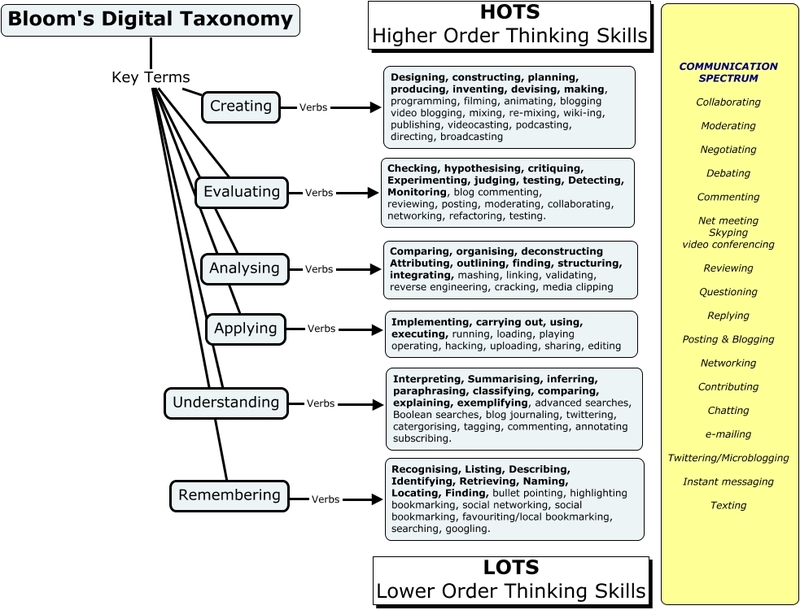 Bloom's Digital Taxonomy Concept map. 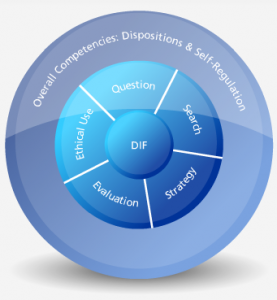 Andrew Churches, a self-proclaimed information and communications technologies (ICT) enthusiast, has revised Bloom’s taxonomy of educational objectives to include digital activities. 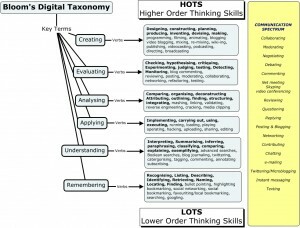 Churches has essentially taken the revised Bloom’s Taxonomy by Lorin Anderson, a former student of Bloom and added verbs for common digital activities such as blogging, wiki-ing, networking… etc. His educational origami wiki and blog focus on integrating ICT into the classroom. This entry was posted in Trends on May 17, 2010 by Alex Chapin. To be literate means to have knowledge or competence. To be fluent is something a little more, it is to demonstrate mastery and to do so unconsciously and smoothly. a deeper, more essential understanding and mastery of information technology for information processing, communication, and problem solving than does computer literacy as traditionally defined. 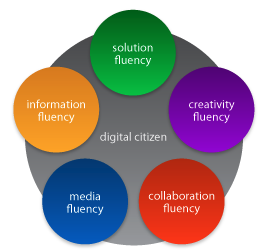 Educause has compiled a list of Digital Fluencies that include articles on a variety of new literacies, but also articles suggesting more fundamental changes (see: Understanding Students Who Were ‘Born Digital’, Revolutionizing Learning in the Digital Age), changes that deserve a new vocabulary.